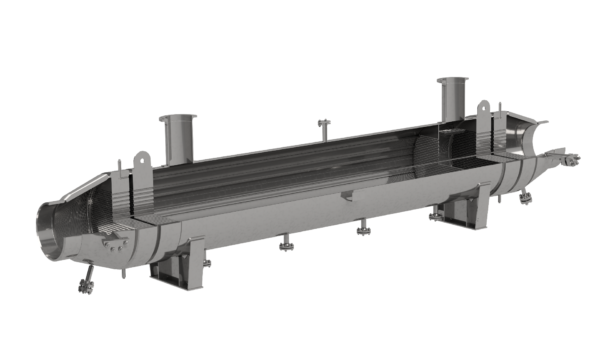 The heat exchanger from AEL are the main components of many process plants. They transfer thermal energy between separate fluids. This may entail liquids and / or gases. 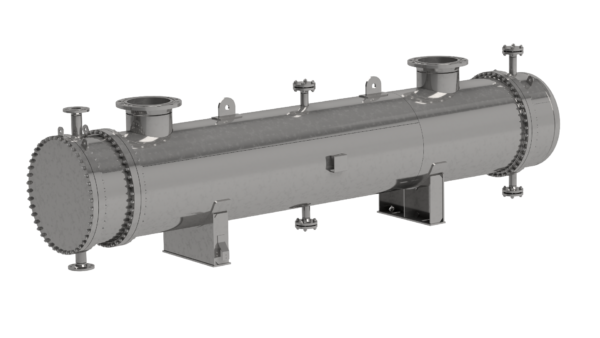 The heat exchanger can be used for all four important thermal engineering applications: Cooling, Heating, Condensation and Vaporisation. Principle of the enclosed tube bundle: Shell and tube heat exchanger consist of a hollow cylinder (shell) with inserted bundle of a large number of tubes. A medium flows through each of them. The tube bundles can be designed as straight- or U-tube and can be connected to the shell tightly or drawable. Upon request, it is also possible to deliver products outside of this dimensioning range. The nomenclature of the TEMA (Tubular Heat Exchanger Manufacturing Association, USA) is the internationally recognised standard for types of shell and tube heat exchanger. Many applications can be realised on this basis. AEL develops and produces shell and tube heat exchanger of all TEMA types. Furthermore, we also produce according to other standards (e.g. Working Group for Pressure Vessels, ASME, GOST, British Standard). 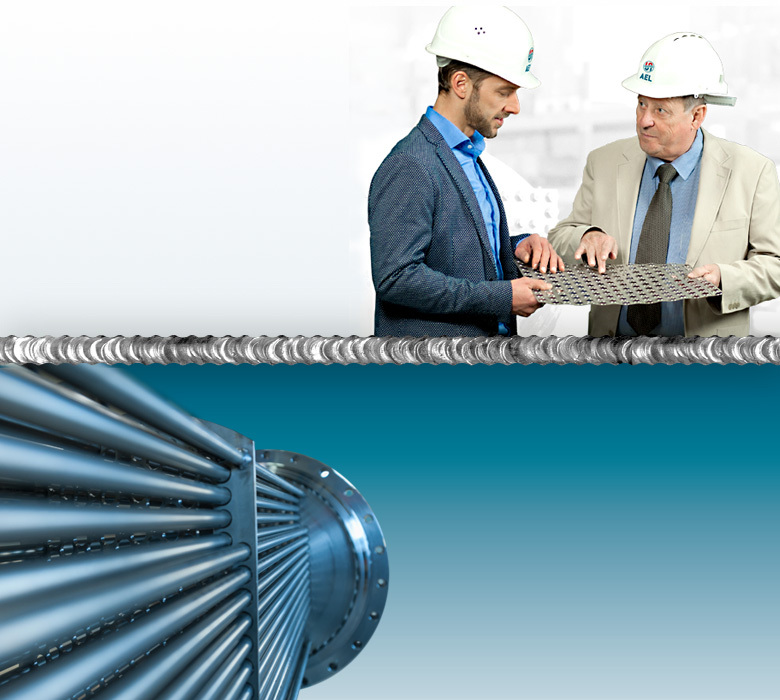 A special design of the shell and tube heat exchanger – an element cooler with rectangular tube bundle and plate fin. Due to the large surface, heat exchanger of this kind have a high performance with comparatively low pressure losses. Double tube instead of shell: Double tube heat exchanger do not consist of tube bundle and shell, but only of a tube bundle – with outer and inner tube. In this way, it is possible to create pure counter current, which provides a particularly intensive heat transfer. Therefore, double tube heat exchanger are particularly used for smaller throughput quantities and lower temperature differences. Generally, they need a lot of room because several double tube segments are compiled in a register. Shell and tube heat exchanger with U-tube bundle the legs of which are all sheathed: The shell tube system as a whole is bend back by 180° in case of this type, which shapes the heat exchanger as a hairpin. Such solutions are space-saving and are also suitable for media with large temperature differences due to their low thermal expansion. Hairpin heat exchanger are used, for example, for waste heat utilisation, exhaust gas treatment, evaporation and condensation. 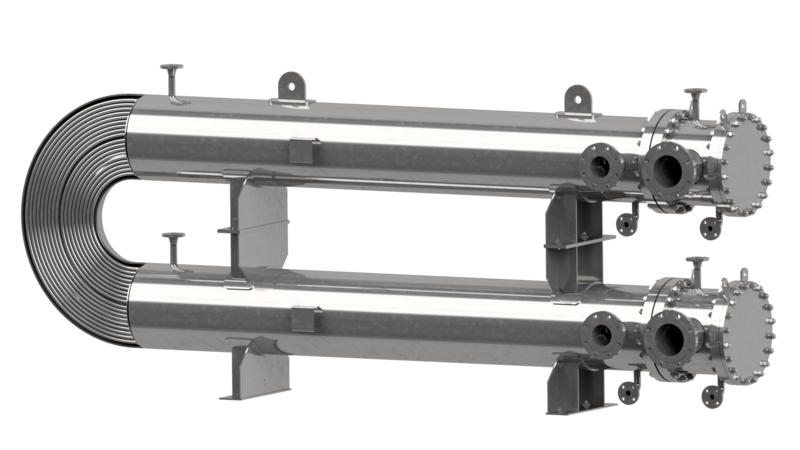 With safety double tube: SiRo heat exchanger are a special design of shell and tube heat exchanger for the handling of hazardous media. The double tube wall prevents the contact with media even in case of leakages. Additionally, designs with double bottoms are available. SiRo designs are used, for example, in the chemical, pharmaceutical and food industry. They are also often requested for oil cooling systems in mechanical and plant engineering for environmental reasons. The heat exchanger from AEL cool liquids and gases in different industrial processes and in power engineering. They use produced process cooling or special cooling agents for this purpose. 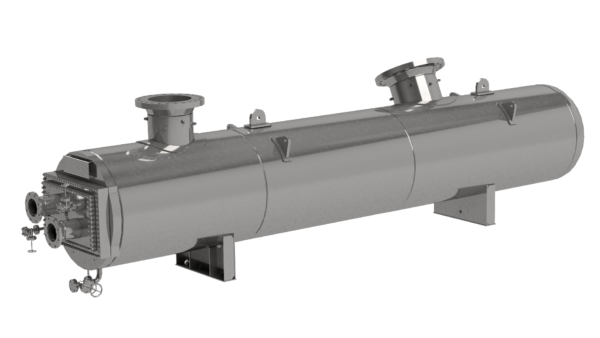 The heat exchanger from AEL heat liquids and gases in different industrial processes and in power engineering. They use produced process heat for this purpose. Heat exchanger from AEL are used in different industrial processes and in power engineering in order to transform liquids to the gaseous condition.